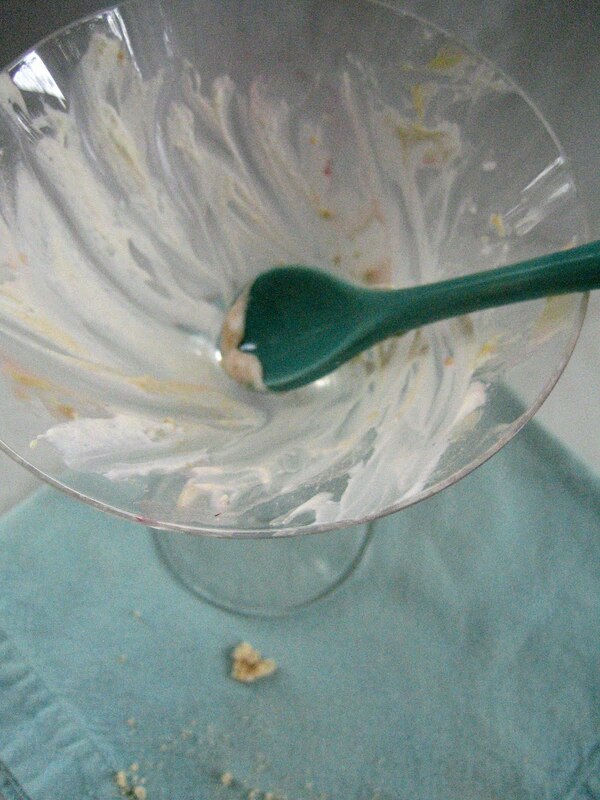 I just finished scraping the bottom of my glass to get every last delicious bite of this dessert. Meet my new favorite: Eton Mess. I’ve been intrigued for quite some time by this confection that originated in England at Eton College in the 1930s. Its name caught my attention when I stumbled upon it in a British cookbook, prompting me to peruse the recipe. Cream, fruit and meringue? Yes, please. My idea of a dreamy dessert usually includes some form of summer fruit, cream and crust or biscuit (shortcake, cobbler, pavlova ...). In fact, the first recipe I created when I was little was Whipped Cream Pie which involved folding whipped cream and diced fruit together and then spooning it into a baked pie crust (my Mom still has the recipe card I carefully wrote!). Since I’ve been having fun celebrating my birthday this week, it seemed an ideal time to assess my wish-list of treats to try. 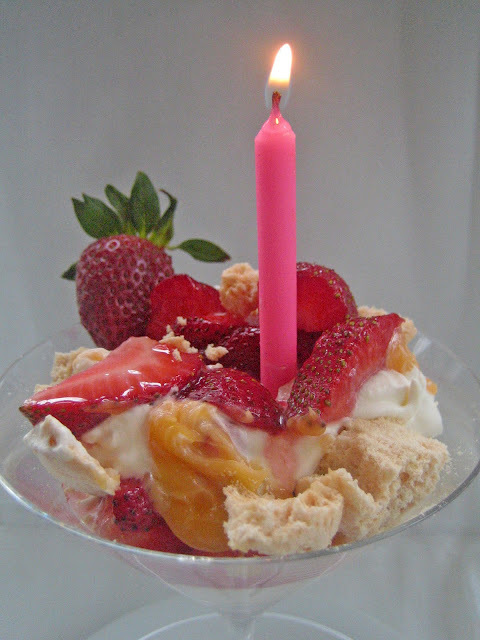 A little extra indulgence is an important part of birthdays, wouldn’t you agree? And Eton Mess provided just that. 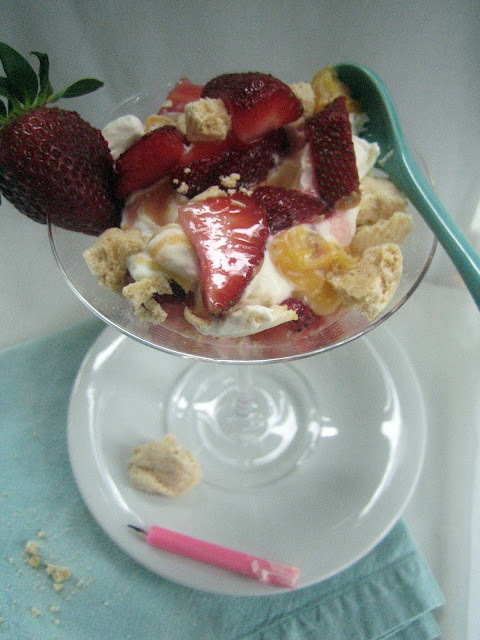 Dollops of crisp meringue are crumbled and swirled with whipped cream and sweetened strawberries to make ... a mess! 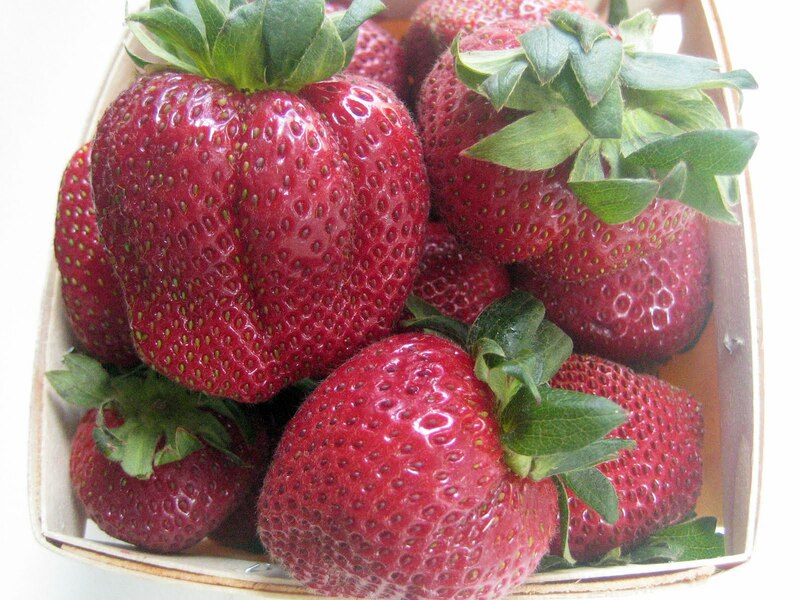 Just in time, we have fresh, beautiful strawberries emerging here - a sure sign of spring. What a gift it is to inhale their sweet scent! Several variations of Eton Mess appear in British cookbooks, even one with chocolate and cherries, and I decided to include some fruity curd in my version. 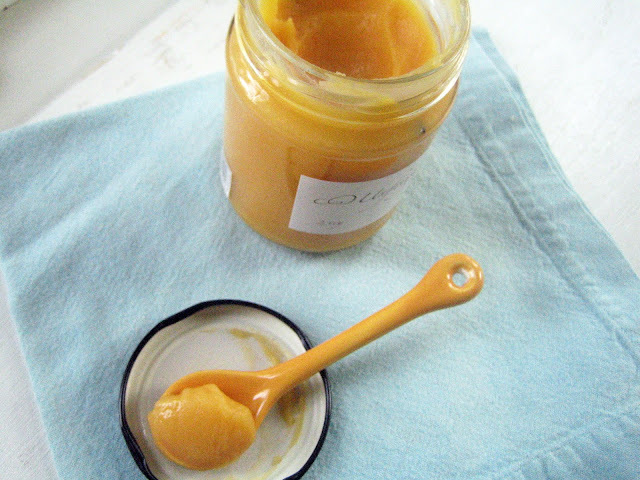 I had been saving a lovely jar of passion fruit curd we brought home from Australia and it was time to pop it open for a taste of Aussie sunshine. Crispy, creamy, fruity and sweet – such a heavenly combination of texture, taste and color. Eton Mess was delightful and all I had dreamed it would be. Place the egg whites in a medium sized mixing bowl and beat until soft peaks form. Gradually add 1/4 cup sugar and beat until the mixture is glossy and holds stiff peaks. Drop dollops of the meringue onto the prepared baking sheet. I had about 14 meringue blobs. They don’t have to be pretty – you’ll be crumbling them. Bake for 1 1/4 to 1 1/2 hours, until the outsides are firm and crisp. Remove from the oven and let cool. While the meringues are baking, combine the strawberries and remaining 1 tablespoon of sugar in a small bowl and stir gently. Leave sitting out to macerate and get juicy. When ready to serve, whip the heavy cream until soft peaks form. Crumble the meringues into coarse pieces. This dessert can be served in pretty glasses or in a marvelous heap on a platter for everyone to tuck in to – you decide. To assemble, scatter a layer of half the meringue pieces in glasses or on a platter. Spoon half the whipped cream over and drop spoonfuls of half the curd over it. Spoon half the strawberries and their juices over the top. Repeat layering with the second half of the ingredients. Stir a bit to make a mess and enjoy! Happy birthday week, Hannah! I've wanted to try Eton Mess since I first heard of it last summer. And passion fruit curd. I have yet to even SEE a passion fruit. I am envious. This looks and sounds beautiful! What a wonderful birthday treat. Thank you, Brianne! I've occasionally seen passion fruit here, but I know it can't compare with the ones I ate in Australia. Sigh! I'm savoring the passion fruit curd for as long as possible. Happy birthday! I love Eton Mess it is one of my favorite desserts too. Thank you, Lisa! I'm happy to have discovered Eton Mess and only wish I'd tried it sooner. With berry season coming I'll be making it a lot! I'm thinking blueberries and lemon curd could be a good combo. Happy birthday! Eton Mess is one dish I regret missing out on when I was in England a few years ago. I kept filling up on hearty pub fare like Ploughman's Lunch and beer, and could never seem to make room for dessert! Happy Birthday Hannah! What a beautiful mess you made yourself! Love it! Thank you, Marina! It's wonderful to find beauty in a mess, isn't it? This is truly a "lovely mess"! And happy Birthday Hannah! Thank you, Brooke! This ranks as a top kitchen mess to enjoy, that's for sure! And yes, so much to love in Australia. Mangoes and passion fruit just can't compare here. At least we have our berry season to look forward to! This is really a beautiful recipe, love the name Eton Mess, when in my eyes it is a thing of beauty. I love the strawberry and passion fruit curd. Happy Birthday! Thank you so much, Suzanne! Isn't it wonderful to create a pretty mess? Happy Birthday! 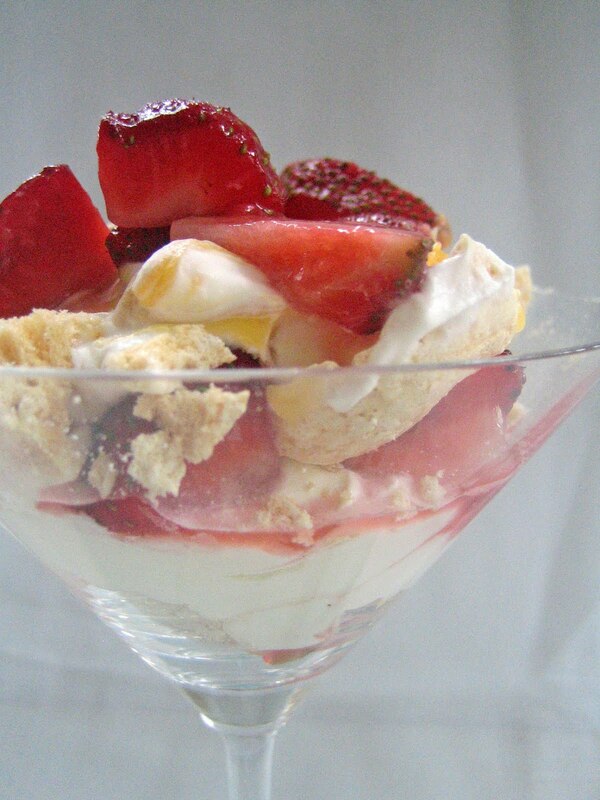 Love Eton Mess,,,anything with meringue, cream & a little fruit is just so delicious! Definitely one of my favorites too. You and I totally have the same idea of a dreamy dessert. Happy birthday!!! I've heard of Eton Mess and was always intrigued - I love that you can throw everything in there and just enjoy. The passion fruit curd sounds like the perfect way to top this off. YUM! Happy belated birthday! 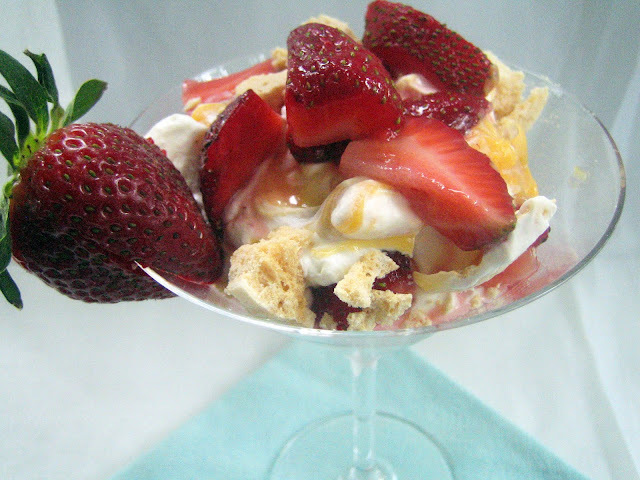 I can't wait for strawberries so I can make a mess--an Eton Mess, that is! Definitely something to look forward to. There are just so many fabulous British strawberry desserts. Thank you, Lauren! I agree, British desserts showcase strawberries well! Now I'm in the mood for a fool. And Scottish cranachan has caught my attention. Sigh - so many good treats to enjoy! Hamantaschen: Purim Is Just Around the Corner!